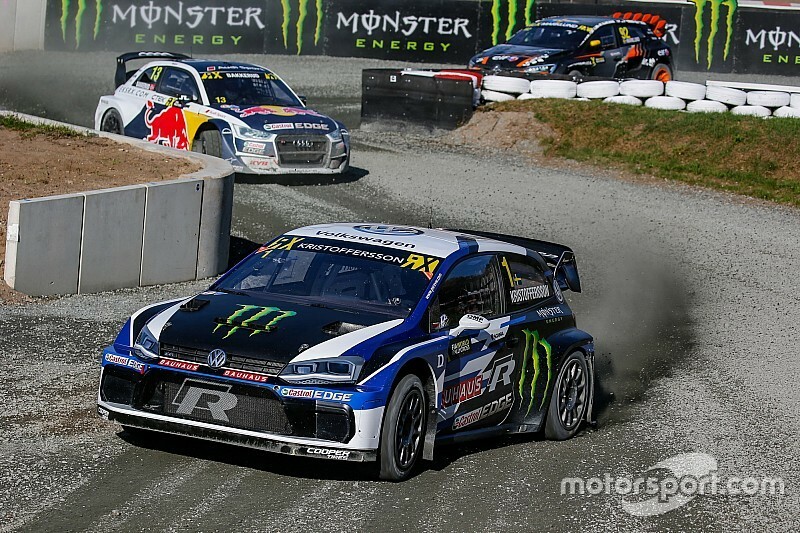 A fortnight after securing his second World Rallycross Championship title, Volkswagen driver Johan Kristoffersson scooped another 16 points from qualifying at the German round of the series. 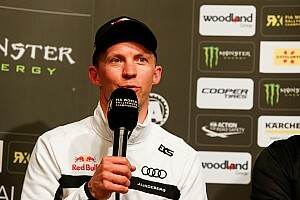 Having topped day one, Kristoffersson was only sixth fastest in Q3 on Sunday morning as Audi driver Andreas Bakkerud shut the door on the double champion in the run to turn one. Bakkerud had run the same tyres in morning warm up that he then used to launch into Q3 40 minutes later, any heat retained in the rubber doing a solid job of helping the Norwegian make a good getaway. But, although he won the race, Bakkerud lost out in the overall times to teammate Mattias Ekstrom, who won the previous race and topped the standings. Peugeot driver Timmy Hansen then survived contact in the run to the first corner in the last European qualifying race of the season to set the best time. His Peugeot 208 was pitched sideways after contact with row-five starter Petter Solberg on the outside and Bakkerud from row-two on the inside, before also nosing into Ekstrom who had started on pole. 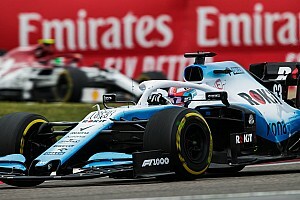 But, Hansen beat the Audis out of the first corner and set an overall time over a second better than Kristoffersson, who won the previous race and wound up third in the session. 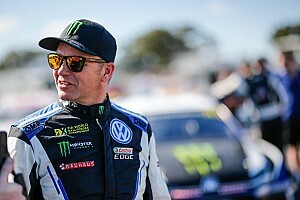 Kristoffersson remained at the head of the Intermediate order for the seventh time in 2018, with Bakkerud second, Hansen third and Ekstrom fourth. Solberg wound up fifth ahead of Gronholm RX’s Niclas Gronholm. 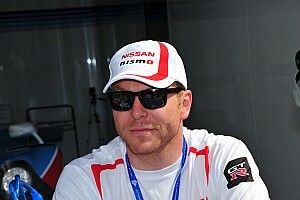 The Finn produced an impressive performance through qualifying and was again best of privateers taking the fight to the three manufacturer teams. Sebastien Loeb spent a day battling traffic and ended up eighth, behind young teammate Kevin Hansen. 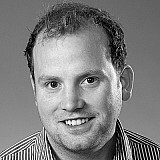 While outgoing European Rallycross Champion Anton Marklund made the semi-finals for the GCK squad, British driver Liam Doran also spent a weekend racing in traffic, then had his hopes of making the semis ended when he was found to have touched the launch control button by mistake in the first corner of Q1 on Saturday and was disqualified from the session.